When you are just starting with your business, it’s crucial to determine how to market it. Because, no matter if your product or service does wonder if it’s not “out there” and nobody knows for it, you’ll soon go bankrupt. To avoid this scenario from happening, we suggest you think twice about which audience are you targeting and once you’ve determined it go aggressively to achieve your dreams and skyrocket your sales. No matter if you’re B2B or B2C type of business, a great deal of your success comes from the contact you’re able to make. And that’s why we’re so pushing conferences, seminars and meetups as a great way to meet new people and make new business connections. However, you need to be prepared for those things. Mere coming to the event making a single contact would be as if you never came. When it comes to success on such occasions, networking skills are crucial. In this article, we’re going to try to show you how you can benefit from networking and give you some surprising fact to back up our claims. So here we go! Many people tend to see networking as something selfish we do for our own benefit. But, that’s not true. Networking rarely offers immediate results. Stop thinking about networking as a way to sell yourself, your company, product or services. The primary goal is to make connections you’ll nourish, and that will be mutually beneficial. 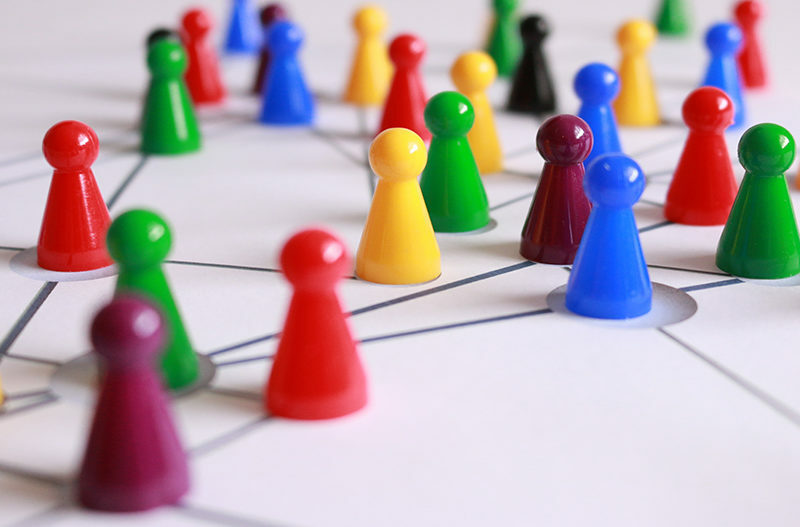 In its essence, networking doesn’t mean making contacts but making connections which involve connecting with each other on a deeper professional level. Like with everything in life, to succeed in networking you really need to have an idea. You actually need to know what you want to achieve and where you’re headed in the first place. Stop wasting yours and other people’s time making connections you cannot and won’t use in the future. We already said networking is not about making contact for your personal gain. It’s a mutually beneficial act, which should last longer. It’s like with a relationship between friends and couples – the more you invest, the more you’ll gain in the end. Before reaching to someone, try to think about all the things you can offer to them and reach them out with advice, rather than the plea for a favour. Follow up is a crucial part of networking. Connections you’ve made during some event could easily be broken if you don’t remind them of who you are and what you can do for their business. Be sure to take their business card and email and follow up after the event. This could be an offer you can make them for a special prize or an invite to a more personal meeting to see where your interests can be met. … is undeniable. However, it takes some time to wrap your head around it. If you’re just starting, don’t worry about the things that might go wrong, just be sure to come prepared, with a plan and clear goal on what you want to achieve. In the end, practice makes perfect. If you want to share your experience with networking, we encourage you to do so in the comment box below. Or if your company needs any help in a presentation during conferences and events, we’re here for that too! Be free to reach us out!